Taliaferro was inducted into the College Football Hall of Fame in 1981. He was the leading rusher on Indiana's 1945 Big Ten championship team. BLOOMINGTON, Ind. 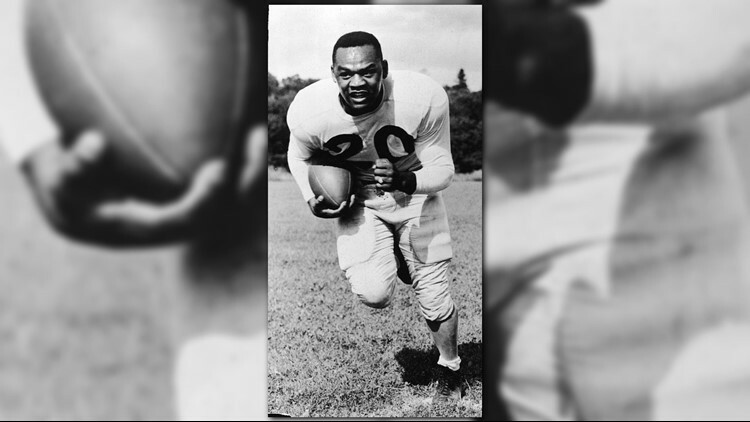 (AP) - George Taliaferro, the star running back for Indiana who in 1949 became the first black player drafted by an NFL team, has died at 91. Senior associate athletic director Jeremy Gray said Tuesday the Hoosiers had spoken with Taliaferro's family about his death in Mason, Ohio. Other details were not disclosed. George Halas and the Chicago Bears drafted him in the 13th round. But Taliaferro had signed a week before with a team from the rival All America Football Conference. The AAFC merged with the NFL the following season. In the NFL, he played for New York, Dallas, Baltimore and Philadelphia. He played seven positions as a pro and earned Pro Bowl honors in 1951-53.